When it comes to hot hatches, Europe tends to take the cake. And while the Volkswagen Golf GTI has year-in-and-out been a benchmark performer, the minds from Ford and GM like to prove otherwise. Enter the new Ford Focus ST — available in the United States — with its 247-horsepower EcoBoost engine and 3,150-pound curb weight. 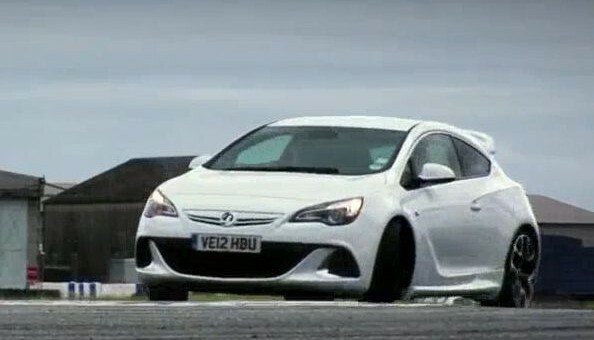 And the Vauxhall Astra VXR, a 276-horsepower, and a 3,245 curb weight. The Ford is lighter, the Vauxhall is stronger. But only one got the nod from EVO magazine, and that’s the VXR. See the sideways action for yourself in the video below. And for the VXR’s triumphant victory it should be brought to America with a change in badge as a Buick! Or better yet Cruze 2 door hatchback. I do have some questions and comments though…. if Cruze do get this variant, what would the competitors be? Also if verano gets this variant as a hatchback who would the competitors be and if it’ll take over performance variant Cruze? The Cruze needs to be in this segment, not Buick. You don’t see Lexus chasing the hot hatch crowd. It’s below them and their status. That might hurt, but its true. Relax guys. Astra is too cool for US. U only get S edans.